Are you Looking for Organic Pesticides, Insecticides and Natural Animal Repellant Recipes to make at home? Do you want to treat plants and more, without using harmful "chemicals"? You have come to the right place! Many lawn and garden centres and other retail stores offer a wide variety of natural pesticides and insecticides. Many of these can be easily made at home. Although natural and organic products are biodegradable, they should still be used sparingly, since these mixtures destroy "good" bugs such as spiders and ladybugs, along with the "bad" bugs or pests. Here follow recipes for organic or natural insecticides or pesticides that some sources claim to work for organic gardeners. Also included are recipes for natural repellants for cats, dogs, squirrels, racoons and deer (scroll to bottom). Rhubarb insecticide is an example of a "make it at home" natural remedy, organic pesticide, for garden pests. 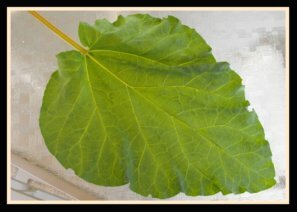 Boil 500 grams of rhubarb leaves in a few pints of water for about 20 minutes. Add a tiny bit of dish detergent or soap flakes, (not laundry detergent). Note - DO NOT spray this product on ANYTHING edible. Rhubarb leaves contain high amounts of oxalic acid, and are poisonous, and could cause death. In a blender or a food processor, chop finely two whole cayenne peppers, one large onion and one bulb of garlic with a little bit of water. Transfer mixture to a large container, and cover with one gallon of water. Allow mixture to stand for 24 hours, and then strain mixture. The left over "mash" can be buried among the plants where the infestations occur. Transfer to a CHILD PROOF/SAFE suitable container. Helps get rid of chewing/sucking insects, mildew, leaf spot, rust spot, and spore disease. Spray daily, (as needed), on bug infested roses, azaleas and vegetables. In a large pan or pot, boil 1 litre of water. Remove from heat. Add 2 tbsp. of salt, and 5 tbsp. of vinegar. Pour mixture directly on weeds on sidewalks, driveways, and patios while the mixture is still hot. Fill a spray bottle with vinegar and spray it on anything you cannot get out by pulling it out with the roots. All vinegars are diluted, so attempt to purchase the highest concentration you can find. Caution: Use this on the weeds only, not on the grass. Use cloves (whole or ground), bay leaves, cinnamon or black pepper as barriers to keep ants out. Keep in mind that some ants have different aversions than others, so see what works best. Mix Baking soda and powdered (icing or confectioners' sugar) in equal parts. Spread the mixture around the area where you see roaches and they will soon disappear. Take a wine bottle or similar type of bottle and carefully drop something sickly sweet into the bottom, for example, mango peels or sugar water. The flies will fly in, but they cannot fly out. Mix 1 tablespoon lemon oil with 1 quart water in a spray bottle, and use as needed in areas where spiders are a concern. Steep 1 part mashed mullein leaves, (a common herb), with five parts water. Helps get rid of white fly infestations. Mix 1 cup of baby shampoo, 1 cup ammonia, 1 can of beer, and 1/2 cup corn syrup in a 20 gallon hose-end sprayer. Top off with warm water and soak your grass with this lawn spray once a month. Keeps lawn green and healthy. Use left over coffee grounds and ground egg shells around plants, pour on leftover green tea, water from fish tank clean-outs, and from time to time turn over into soil. Mix together 14 grams of table salt in 2 1/4 litres of water. Helps to control spider mites and cabbage worms. I hope these organic pesticide recipes help you in your attempt at eco-friendly solutions to pest and weed problems in and around your home! If you prefer, you can also purchase Organic / Natural Pesticide Products on-line from *Amazon.com, and, in most cases have it delivered right to your door. Click on the product image for further product information and reviews. Cats - Mix together two parts cayenne powder, three parts dry mustard powder, five parts flour. Add water, as needed, to obtain a consistency suitable for spraying. Dogs - Mix together one garlic bulb (minced), one medium onion (minced), 15 ml. of Tabasco Sauce and one litre of water, or water as needed to obtain a consistency suitable for spraying. Squirrels - Mix together 15 ml. of Tabasco Sauce and 15 ml. of chili powder and 5 litres of water, (or amount needed to obtain a consistency suitable for spraying), and 1 tsp. of dish detergent (not laundry detergent). Deer - Mix together 3 eggs, 3 tbsp. garlic juice, 3 tbsp. Hot Sauce and 1/2 cup water. Add to 1 gallon jug of water. Mix well. Fill a spray bottle with the mixture. Also, many people use human hair (taken from hair build up on a hairbrush, or hair collected from a hair-cut) to fill a mesh type of bag. The bag is then hung on or near whatever you are trying to keep the deer away from as a repellant. Raccoons - Make a cinnamon-pepper combination as follows: Mix a cup of each spice together and then sprinkle the mixture liberally throughout the garden. The spices will irritate the raccoons' sense of smell and thereby keep them away. If it rains, you will need to re-apply the mixture as the rain will dilute the repellant. It is also helpful to consider "garden companions" when planning your garden. In some cases it is possible to plant certain combinations of plantings to help reduce the possibility of certain bug infestations altogether. This method of companion gardening, along with the use of homemade, organic pesticides will benefit gardens of those who prefer not to use other chemicals to control "bad" bugs. GO to What is the EASIEST Vegetable to GROW?